Will The Flash Get a New Suit in Season 4? A hero like The Flash may not be defined by his superhero costume... but he's still due for a new suit come Season 4. With the season finale effectively ending the hero's career, not a single fan was fooled into thinking The CW was really sending The Flash to Speed force Heaven. 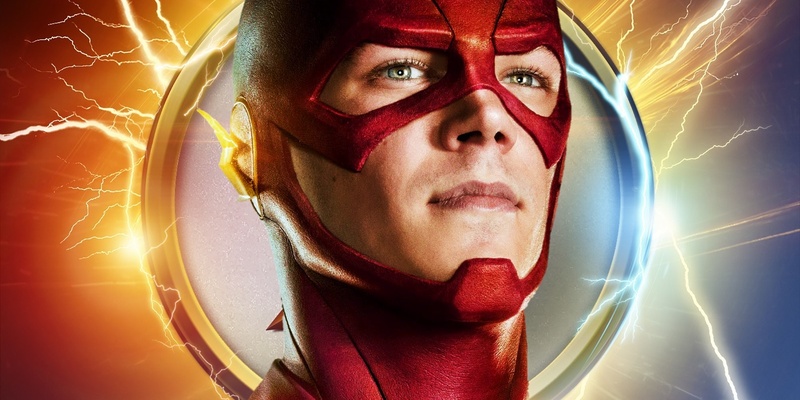 We now know that the fourth season will begin without its star, but it's only a matter of time until a new kind of Barry Allen returns to reclaim his title as Central City's guardian angel. While it's true that most superhero fans are always eager for a new uniform, updated designs, or simply a fresher look, this latest twist in The Flash is a far more logical time for a costume re-design than, say, Arrow's revolving door of updated (and returned) looks. No, Barry Allen will most definitely be changed by his experiences in the Speed Force, and if the showrunners intend to use that time the same way DC Comics writers famously have, then a brand new Flash will need a brand new suit to match... but have fans already seen it for themselves? The Future Flash Suit... That Could Have Been? First things first: no, we're not referring to the vague, more saturated version of The Flash suit seen during Barry's first trip back to his mother's murder (he already became that alternate Flash with his most recent uniform). But his glimpse of that doppelganger the first time around did give Cisco the idea of using white in The Flash's insignia, and if that's going to prove to be a running joke - the heroes messing with time and altering their costume soon after - then fans should recall the episode in which Barry Allen saw his "future" Flash suit in full. We're speaking of the suit worn by Barry in the year 2024, in the timeline after Savitar succeeded in killing Iris West, splitting Barry and his friends apart. That suit added a more rigid look and feel than Barry's present day suit, along with metallic gold accents around the forearms and waist. To the comic book fans, it was one step closer to the comics book source material, since the lightning belt and forearms bolts are necessities these days. There's just one problem: this Flash suit should no longer ever exist. Remember, this design was implemented after Iris West's death, in a future that will (thankfully) no longer take place. So, will Barry make these same changes to his existing uniform to more closely resemble this tormented alternate version? That... seems a bit morbid. The suit itself also gives the impression of more of a throwback, Earth-2-esque design than the "streamlined" or "higher quality" suit that fans are likely hoping to see. A Suit of Speed Force, Not Fabric? 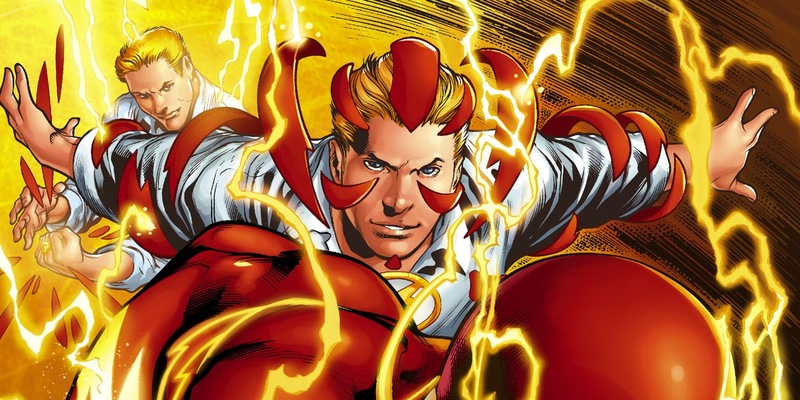 As The Flash TV series has expanded the Speed Force mythology with each passing season, more and more of Flash's comic book abilities have been unlocked. Where once speed was Barry's only weapon, he can now vibrate his molecules (and objects) through other obstacles, travel through time, and has shown an ability to potentially give or take speed (a skill he has yet to master). Yet one major detail about modern, Speed Force-experienced versions of The Flash remains absent: that the speedster's uniform is no longer built out of threads and dye at all. The credit for that evolution really goes to the second Flash, Wally West, who discovered and described the modern DC Speed Force. Where the original Barry Allen kept his uniform shrunk and compressed in a ring, firing it out and getting dressed at super speed, Wally mastered the art of constructing his uniform out of concentrated Speed Force energy. The distinction became so commonplace, in fact, that when Barry Allen got his New 52 reboot, he fused both signature methods into one. Barry still uses his signature Flash ring, but in a new, more science fiction-y way. The insignia of the ring becomes his chest logo, launching panels of Speed Force armor that create a flexible suit around his body. It's this take on the famous uniform that the TV show seems to be stepping directly toward, having shown Eobard Thawne's ability to create the suit from nothing AND contain it within his gold ring. Toss Barry Allen into the heart of the Speed Force to finally learn its secrets in the Season 3 finale, and it seems too good a chance for a similar upgrade for the show to pass up. Only time will tell if The CW and The Flash's writers feel as strongly about the need for Barry to actually demonstrate his changed understanding of the universe and his role in it. But one thing's for sure: if Barry Allen's return is designed to be a moment no fan will forget, then a brand new, Speed Force original suit seems downright mandatory. And getting rid of that Flash mannequin in S.T.A.R. Labs can only help keep Barry's secret (from whichever citizens of Central City still don't know he's The Flash). What do you think? Is there another version of The Flash's comic book costume the producers should look to for inspiration? Or do you only care about getting Barry back, and less about the way he looks upon his return? NEXT: Will The Flash Season 4 Star a NEW Barry Allen? Featured Image art created from "The Flash Future Suit" by Douper on DeviantArt.